Sat at home in the middle of ‘normal’ UK October weather (dank, misty drizzle), it seems strange that two weeks ago we were walking the hills of Snowdonia wearing T-shirts. Yet, that’s exactly what happened, and I have the evidence! 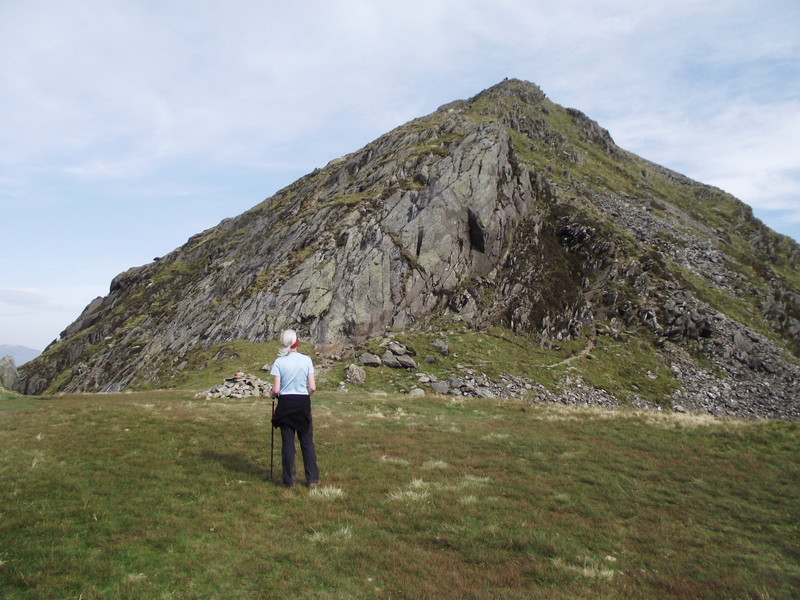 (Blogs #46 and #47) And we still had another day to go on Cnicht, sometimes known as the “Welsh Matterhorn”. 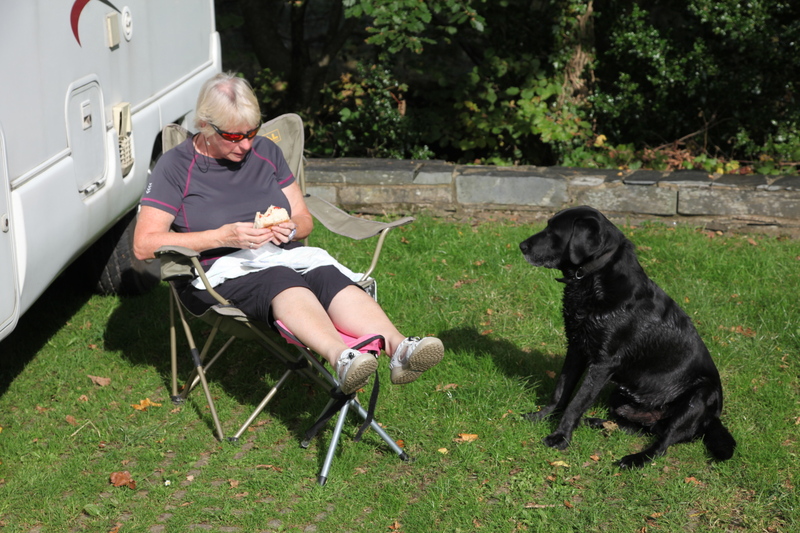 The latter part of our Ogwen to Capel Curig walk (Blog #47) had seen Miv struggling down to the finish with an injured knee. Not unreasonably, she informed us that she had no intention of having a similar day (The phrase “I would rather have pins shoved in my eyes” was used at least once!) and also not unreasonably, she requested that if she was to be abandoned for the day, that it be in a pleasant location. So, that would be Croesor, then! We were looking for something fairly short, due to time constraints, but also something useful for a current project – I’m doing the research for a Snowdonia walking guide for Discovery Walking Guides (DWG), and the previous two walking days in the Carneddau and Glyderau had resulted in two more routes for the book. Another productive day would be the cherry on the cake! 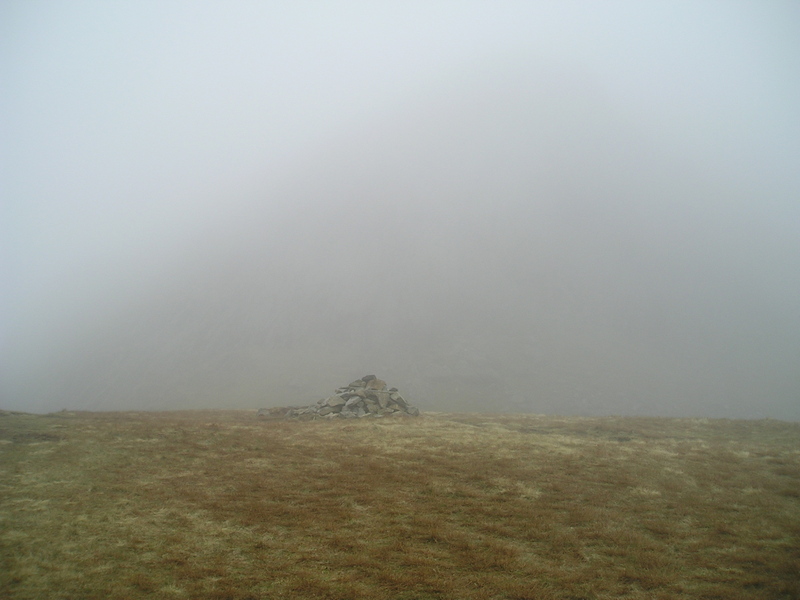 The answer was Cnicht, a smashing little mountain which I had already recorded for DWG, but although I had the GPS tracklog and a route description, the photographs were poor – the most attractive and photogenic route isn’t much good for ‘pics’ when the mist is down! So, we had half a day available, clear sunny weather and my photographer mate John Bamber in attendance. A new portfolio of images for cnicht would make the best use of all three. 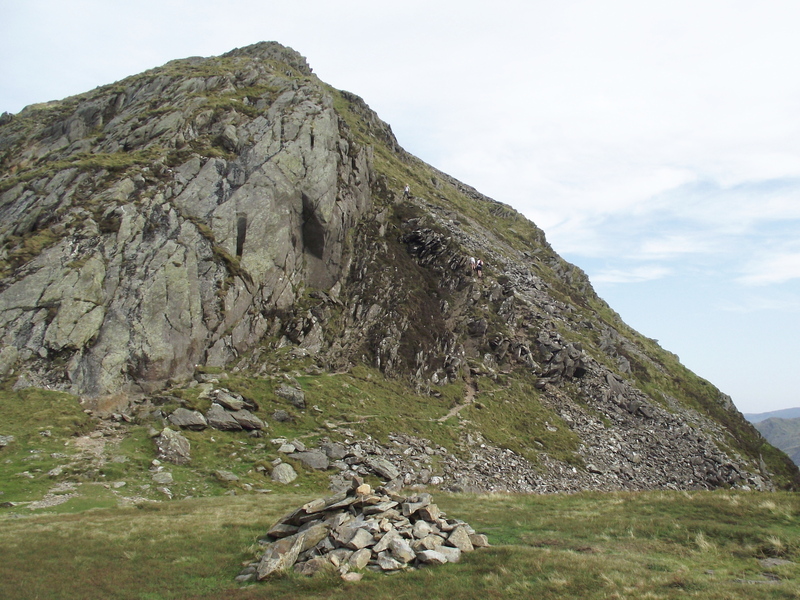 The route from Croesor starts steadily enough, and with clear weather conditions the distinctive ‘pointy’ summit of Cnicht soon comes into view. A broad grassy ridge eventually narrows and becomes more rocky, and therefore more interesting! Just before the final part of the ascent, a flat grassy area gives a great viewing platform and lunch spot. My existing photos for here were unusable because of mist – no problem today, though. The same view on a clear day! What happened next could be regarded as cheating, but was a pragmatic solution to lack of time. Chris set up base camp on the grassy area (i.e. 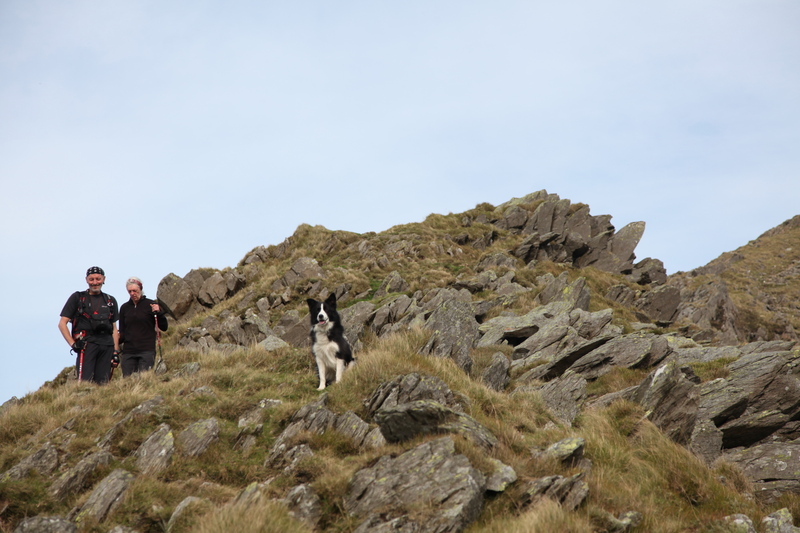 got the coffee out) whilst John and I ditched rucksacks and blasted up and down the final rocky scramble to the summit – the dog doesn’t drink coffee, so she decided to come to the top as well. 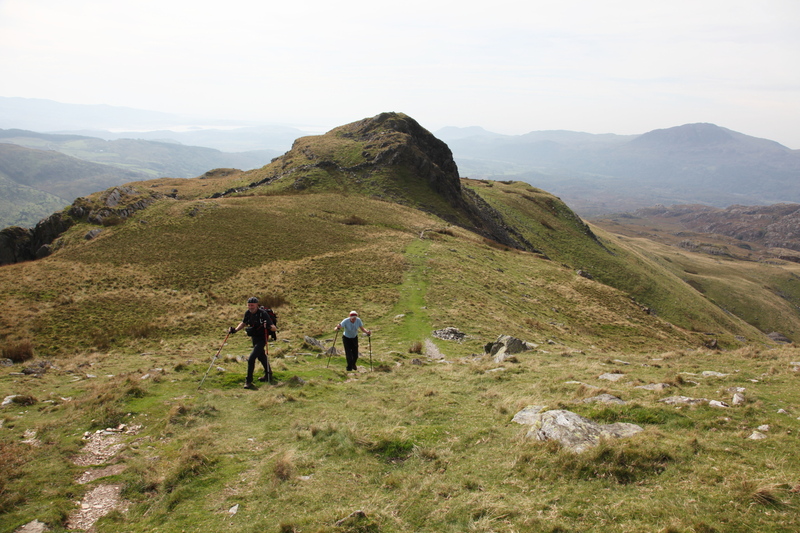 Given more time we could have continued to finish the circuit round Cwm Croesor, but having completed the photographic mission we re-traced the route we had taken on the way up. We had another great day out, in almost heat wave conditions, and came back with a good set of images. A good result all round! p.s. 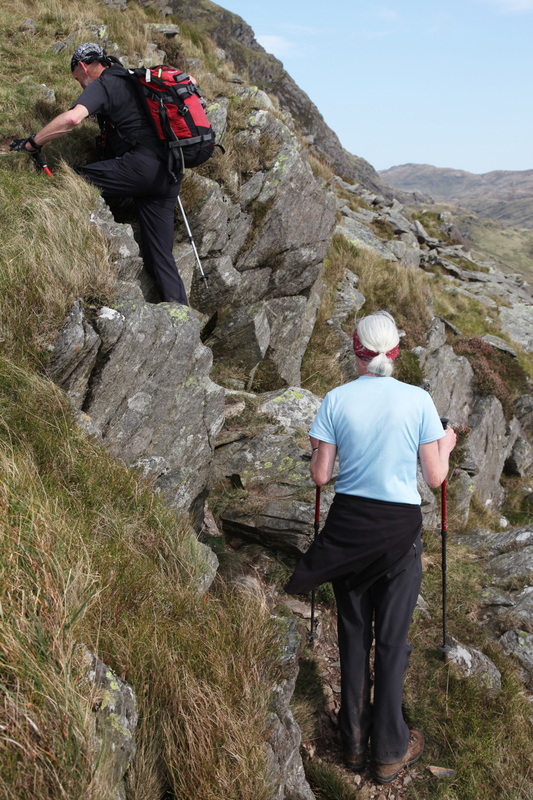 If you have enjoyed this post, please share it with your friends, either with this link – https://hillcraftguidedwalking.wordpress.com/ or on Facebook or Twitter. A new post out first thing every Monday morning – you can subscribe for email updates by clicking the “Sign me up” button. This entry was posted in 5. 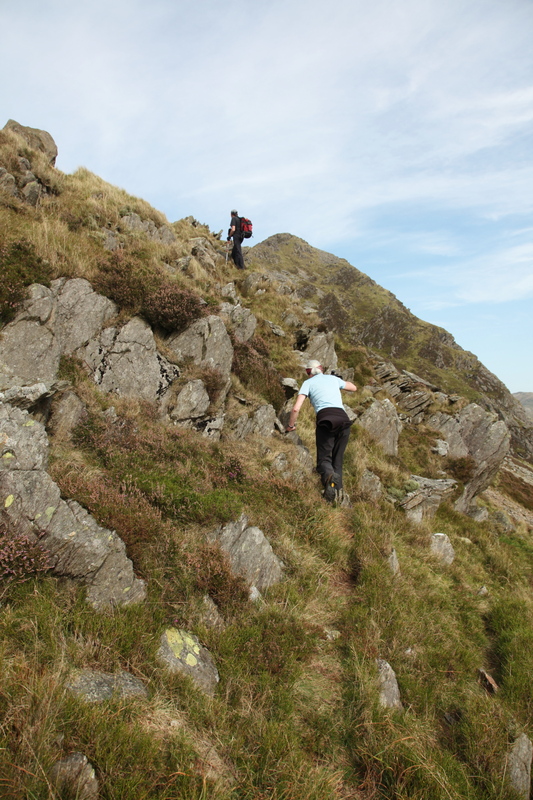 North Wales and tagged Cnicht, Discovery Walking Guides, hillwalking, mountains, Snowdonia. Bookmark the permalink. I enjoyed this virtual walk – I like looking at ‘pointy’ mountains even if I don’t climb them very often. Particularly interesting are the ‘mist’ and ‘no mist’ views (don’t mean the dog!) – what a difference a day makes. How true. 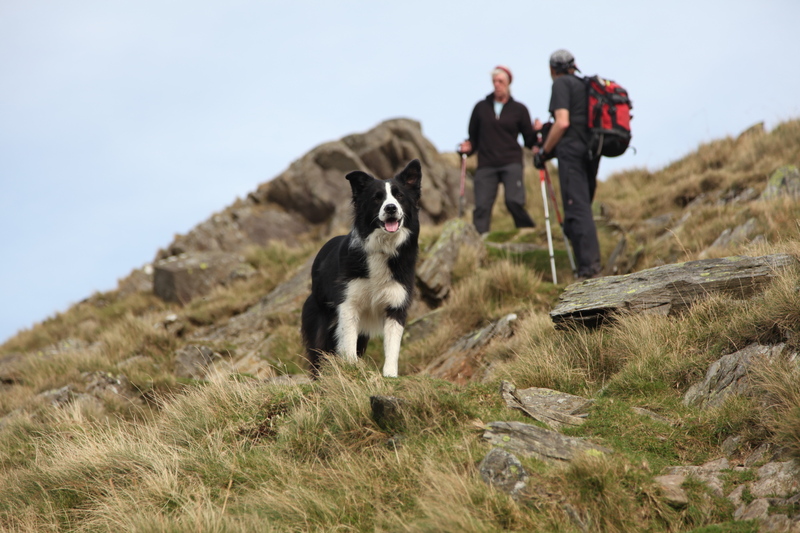 I know which ‘Mist’ I would rather have on the hills – the four legged, black and white one! Having said that, I would love to get a really good photo of a temperature inversion, but I’ve never been in the right place at the right time. Yes, I know – I’ve seen lots, but never had a camera to hand. One way to succeed is to get up REALLY early when the conditions are right. Hmm, not much chance of that then! When I worked at Patterdale, I got home one morning at about 0630 after a night shift – there was a wall of mist right across the lake near Aira Force, just like a brick wall, really spectacular. Got home, got camera, went straight out again – mist gone! It’s like sunsets, no use thinking, “oh this is nice, I’ll get me camera in a minute”. When you came off nightshift in – Patterdale? What on earth did you used to do? I only work shifts (refuse to do constant days) and would love to work somewhere like Patterdale! I was a police officer for 25 years, after leaving the Royal Marines. I spent three and a half happy years as ‘Sheriff of Patterdale’ before moving on. I would quite often get straight out on the hills at the end of the last night shift in the week. I also worked at another village (Langwathby on the road from Penrith to Alston) and at Penrith and Carlisle – Patterdale was the dream posting, though! I’m trying to find out which mountain I climbed 29 years ago. I have five photos. Assumed I climbed Snowdon. 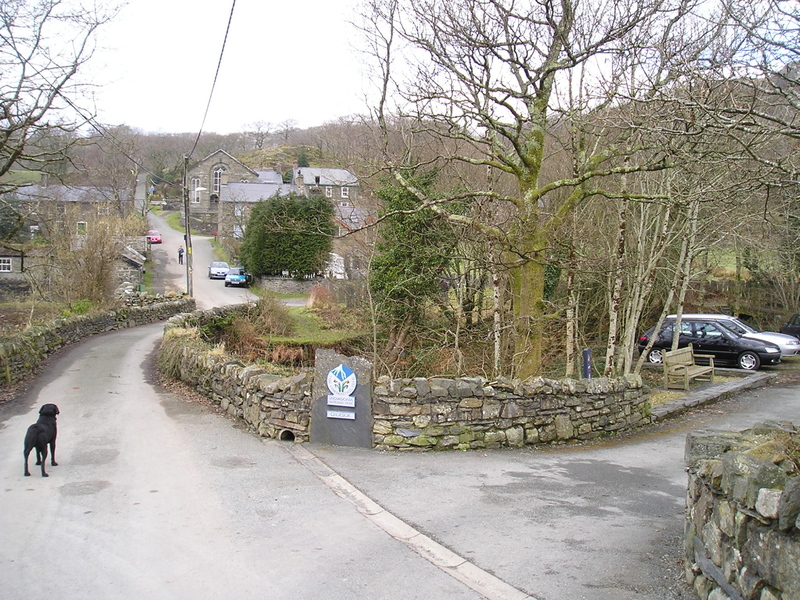 Beddgelert tourist info say no – because one photo shows a narrow road below a rocky climb. 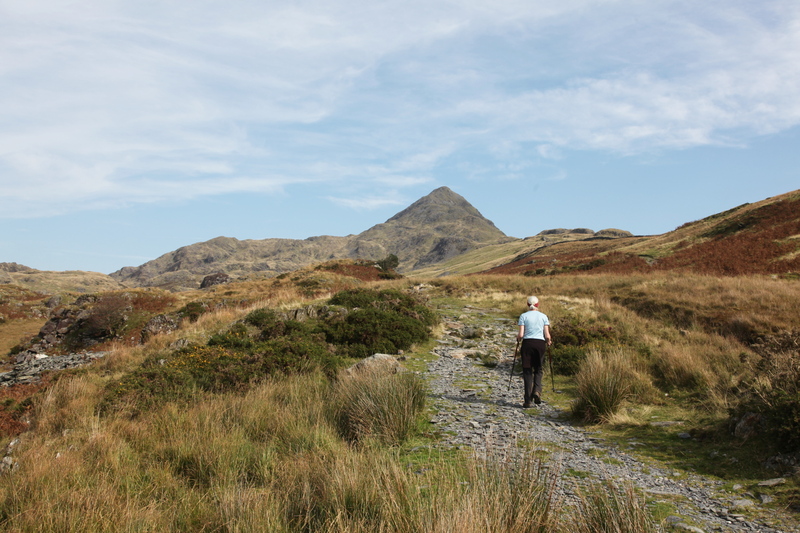 I walked through Croesor, so I wonder if they could be of Cnicht. 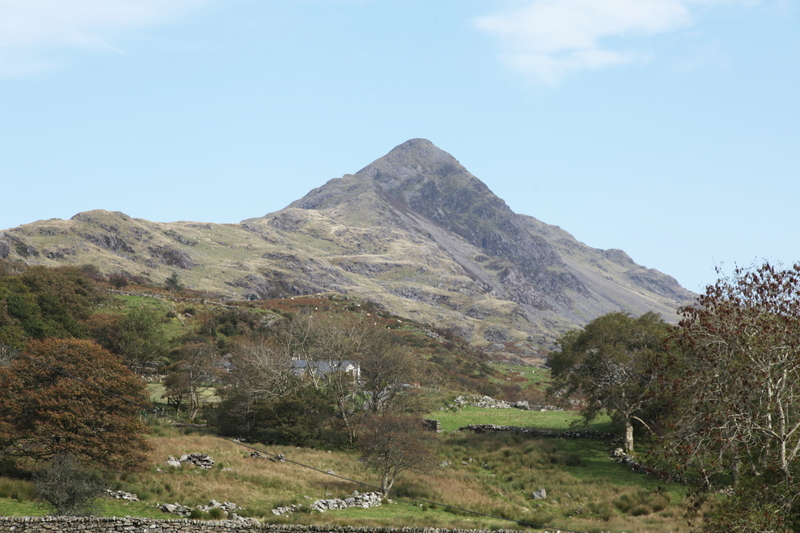 Do you (or any of your readers) know of a website that has profiles or photos or pictures of the mountains and ridges in Snowdonia? If you scan and email the photos to me, I’ll do my best to identify them – I’ll send an email to you so that you have my address. Geograph is great, but you do need to have an idea where you are looking for, and popular areas usually have too many pics!! Hello. Thank you for your quick response. I am unemployed, so I have time to go through my photos, and I’d like to know where they are. All of these are labelled just ‘Snowdonia’. 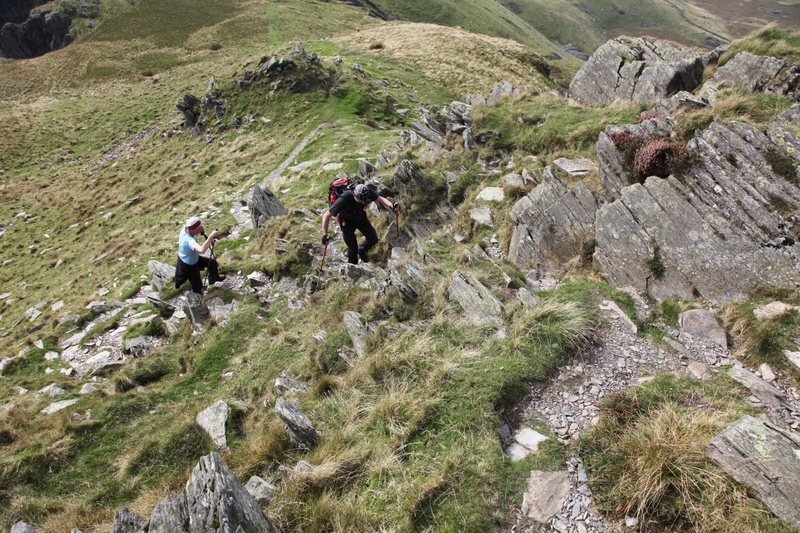 Climbed on the Watkin path on Sunday. I assumed that would be the one we used because I think we walked from Tan-y-Bwich, through Croesor (have a photo showing Croesor in the distance) – which is why I thought these may be of Cnicht. We must have walked even further to climb the mountain we’d been looking at all morning – Snowdon, surely? Because I remember being exhausted at the summit and looking forward to a ride down on the train. But, we couldn’t – all booked up. Waah! Had to walk down to Llanberis. These photos may not be in sequence. Me at the start of the climb. Heather reminded me of the North Yorks Moors, near my birthplace. Smiling at this point – walking in cut-off jeans, usual socks and shoes, and a huge rucksack. Lost the compass on the way up in the mist. This photo intrigues me. What a scramble! That’s not a road – if it were, there’d be a car park! There’s also no path on this scramble. 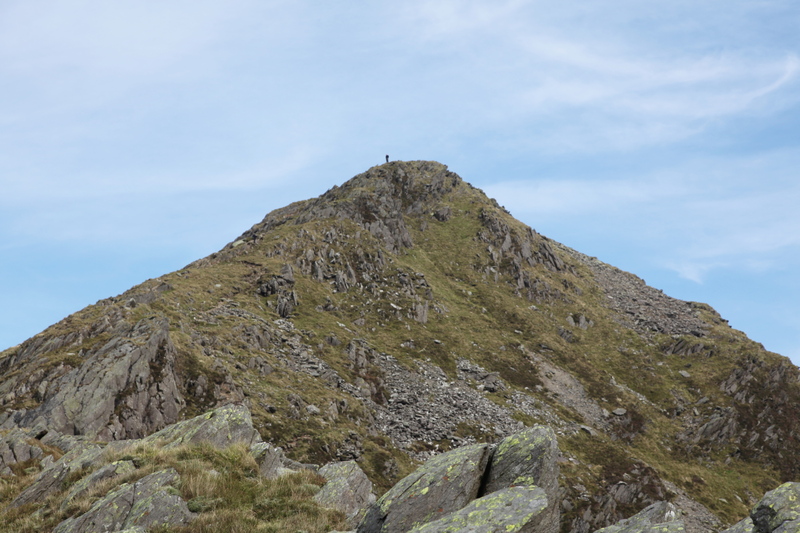 Labelled ‘Reiko almost at the summit’ – but it’s not Snowdon’s summit, is it? Did you manage to find the locations? Didn’t get any photos – did you send them to my email address? Can you please send me your email address, again? Went to Snowdon last weekend, but didn’t see these scenes.